Serving food dishes that are simple, light and most importantly fresh is the key to hosting the best dinner party this summer. At More More More we do all the prep work for you, making throwing a dinner party for a number of guests easier than ever before! We select the best ingredients from local suppliers and prepared your dishes so all you have to do is pop it in the oven. Nothing screams summer more than some fruity cocktails! 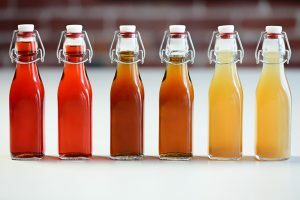 We think it’s so important to offer your guests a sweet beverage at your summer dinner party, whether that be on arrival or in the evening. Whatever drink you decide on, make sure it is served in a chilled glass with plenty of ice – especially if it’s a warm garden party. For the starter, we recommend keeping it very light, nothing more than an appetiser. 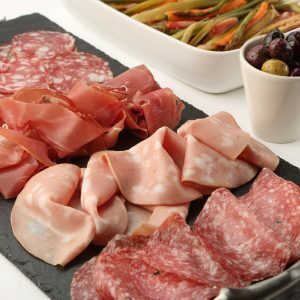 Our italian charcuterie is a perfect starter for any summer dinner party, when served on a sharing platter, your guests can pick and choose how much they want to eat. This then adds a more sociable aspect to your summer dinner party. If you’re looking for a vegetarian starter option for your guests then we highly recommend serving our grilled field mushroom with dolcelatte. Why not go all out with your main course and treat your guests to something very special. 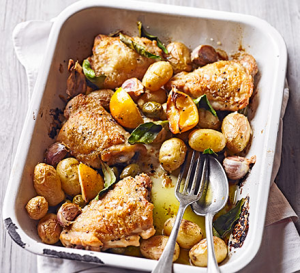 Our baked chicken with lemon and spinach main course is a very summer oriented dish! With an abundance of summery, yet light flavours while still managing to be a very filling dish your guests will leave feeling very satisfied. Always think about your main dish when choosing what side dishes you want to serve. 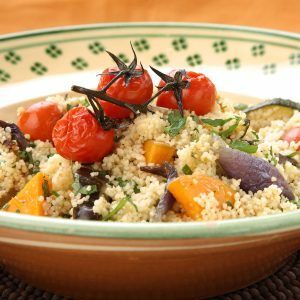 We recommend having plenty of salad varieties for your guests, or if you’re looking for something more substantial then go with our chargrilled vegetable couscous. It’s the perfect light bite which will bring together all the flavours of summer. For dessert, we recommend serving something sweet but also still light in texture. 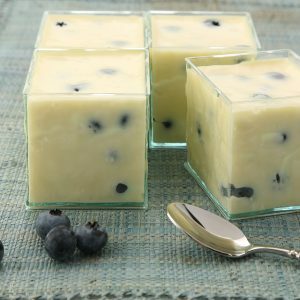 Why not go for our white chocolate and blueberry mousse, rich and sweet yet not overly heavy, the luxurious white chocolate receives just a touch of tang from the plump, fresh blueberries. This dessert will create the perfect end to the perfect summer dinner party. Remember this is a dish we can create so you don’t have to! Take a look at our website for more summer dishes inspiration.